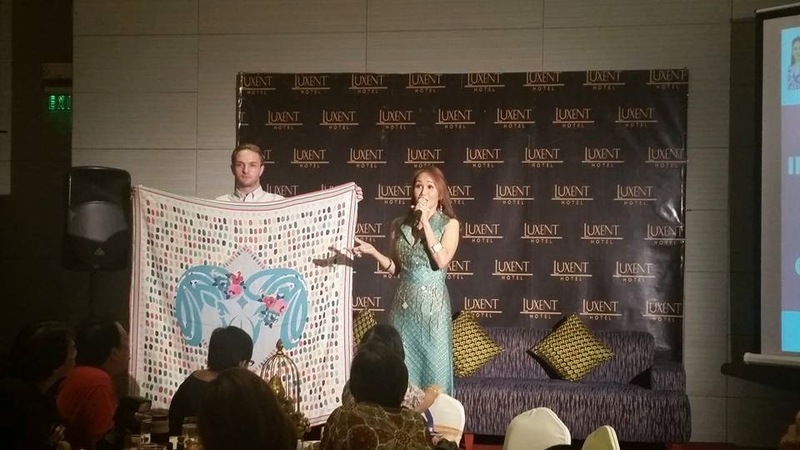 In a presscon held at Luxent Hotel last October 9, 2014, Feng Shui expert Ms. Marites Allen announced the latest developments about Frigga Charmed Life and the opening of its first boutique in November. She also gave some details of the 2015 Feng Shui Updates for the Year of the Wood Sheep; and the schedules of the FengShui Convention in different countries and Meet and Greet schedules for the Chinese New Year in Manila. Want to know what's in store for you next year? Wanna get lucky? 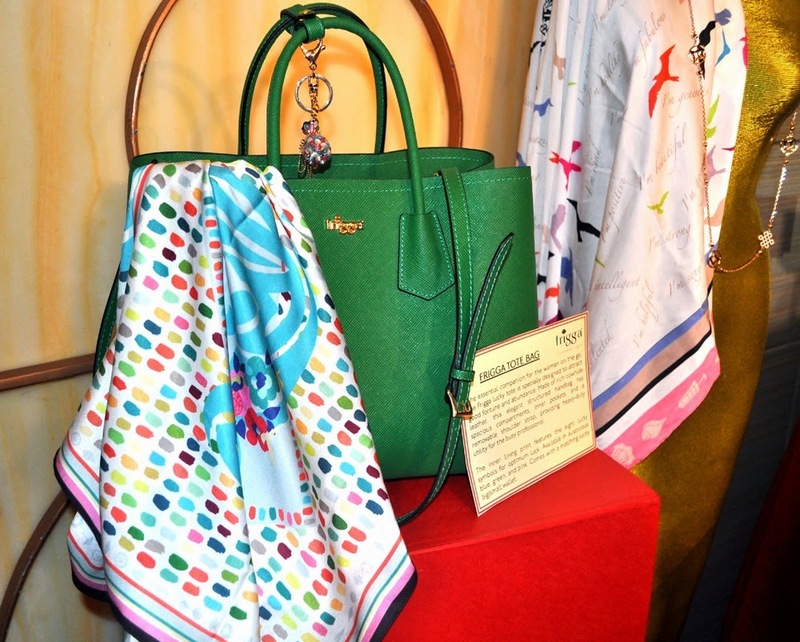 Frigga, the fashion brainchild of international feng shui master Marites Allen, will open on November 9. The owners of Frigga fashion label has chosen November 9 to open the first-ever Frigga Charmed Life boutique at SM Mall of Asia because they believe it is a very auspicious day. Wearing fashionable items from Frigga is like wearing one’s lucky charms and auspiciousness. That is why Marites Allen is glad to be able to make auspicious fashion through Frigga Charmed Life accessible to everyone. The Frigga Year of the Sheep scarf bears all 8 "auspicious symbols" for 2015. Also, they have a lot of exciting designs to make you look more fabulous and lucky. 2015 is better than 2014. Great prospects are indicated for next year because the Sheep is one of the better signs of the Chinese zodiac. It is known for its mild and peaceful ways. 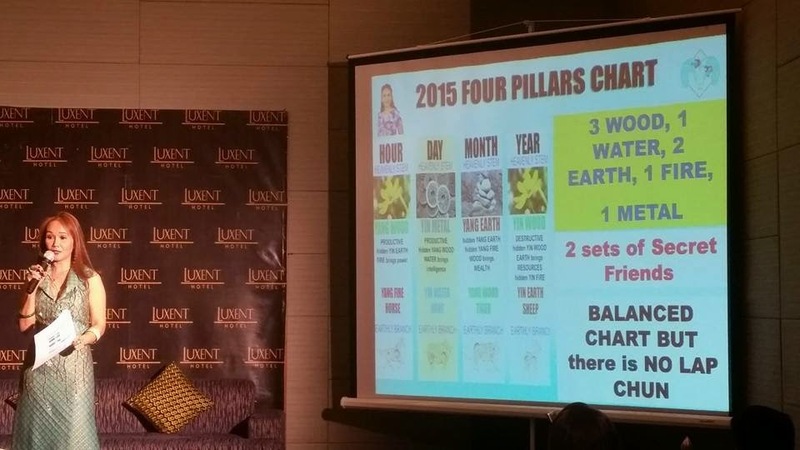 The destiny chart for 2015 has indications of all the five elements, and all the four pillars of the charts. Generally, it is a better chart than 2014, which has too much Fire but Earth and Water Elements are missing. Green is the lucky color of the year. 2015 is a great year to get married. However, for relationships that started in the year 2014, it is bound to be ill-fated or heartbreaks and unhappy breakups are in store. To those who were born under the chinese zodiac sign of Monkey, the year of the Sheep will be good to you. And so is the Rat. Unfortunately for me though, or to those who were born under The Rooster animal sign, more likely to experience misfortune in the coming year. Those with the Dragon and Snake animal signs will be more vulnerable to illness. If it's not your lucky year and for those who are lacking wood element, make friends with people who have wood element on your chart. The people that surrounds you is one of the things that would affect your luck. Be well-informed, be ready to make full use of the positive energies, and stay protected from the negative ones that will emerge next year. Put paintings of birds on the south corner to attract luck. Do not let bad things get in your way. Just be realistic and focus on positive things. 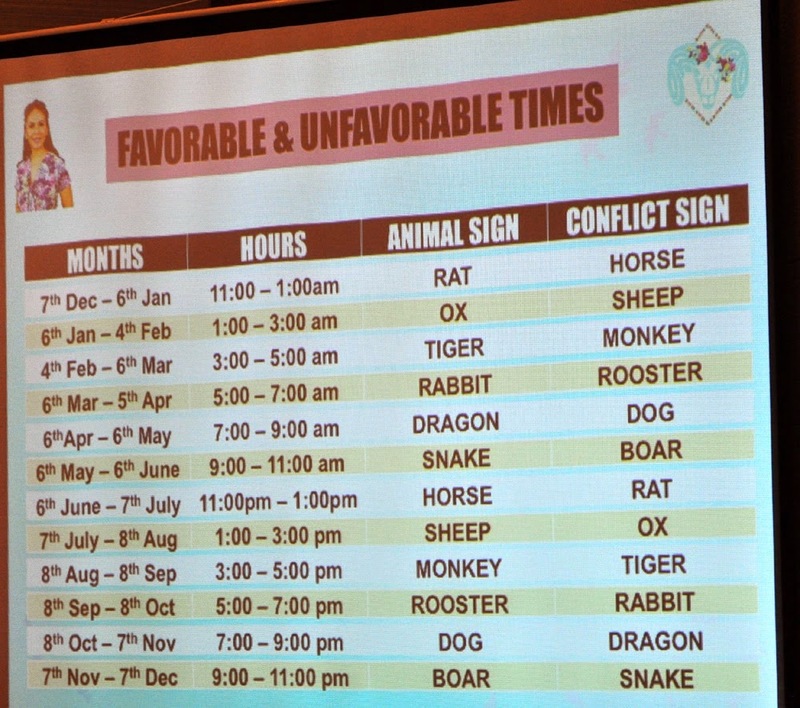 Below are the favorable and unfavorable times for the different animal signs. 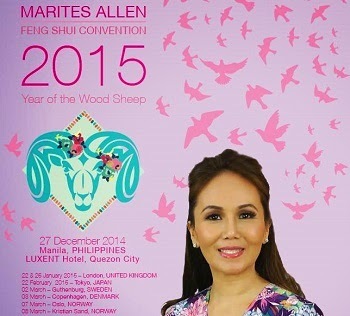 Marites conducts an Annual Feng Shui Convention a couple of months before the onset of the lunar new year. This time it is different from the previous conventions. Allen will request all participants to attend the event with their destiny charts printed (else, they have to come early to the venue and print it from there), so participants can follow Allen’s presentation and check whether or not the individual destiny charts have the three major elements mentioned above. 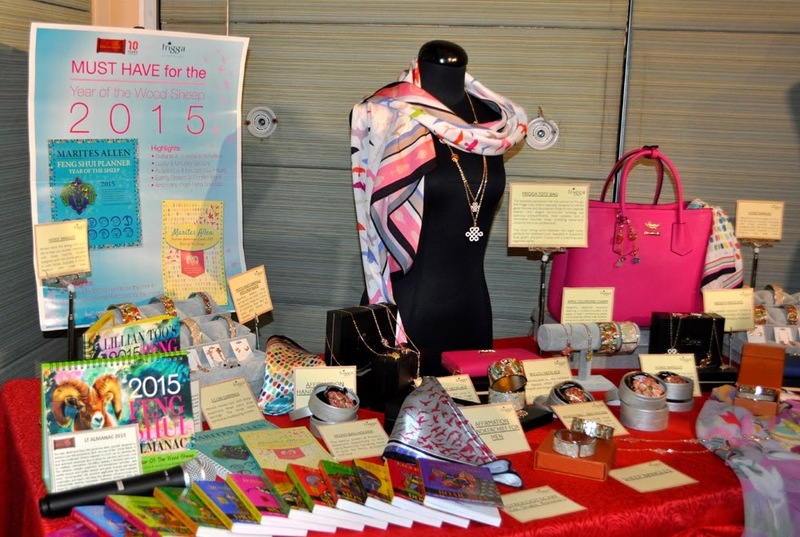 This year the convention will be held on Dec. 27 at the Luxent Hotel on Timog Avenue, Quezon City. 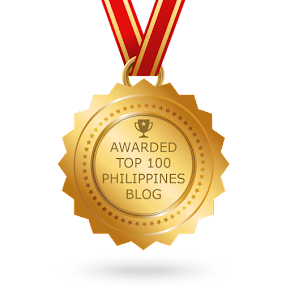 This is also a meaningful year for Marites as it marks the 10th year of the World of Feng Shui (WOFS) brand in the Philippines. She brought in the brand from Malaysia in 2004 that it has, no doubt, educated and inspired many feng shui practitioners around. 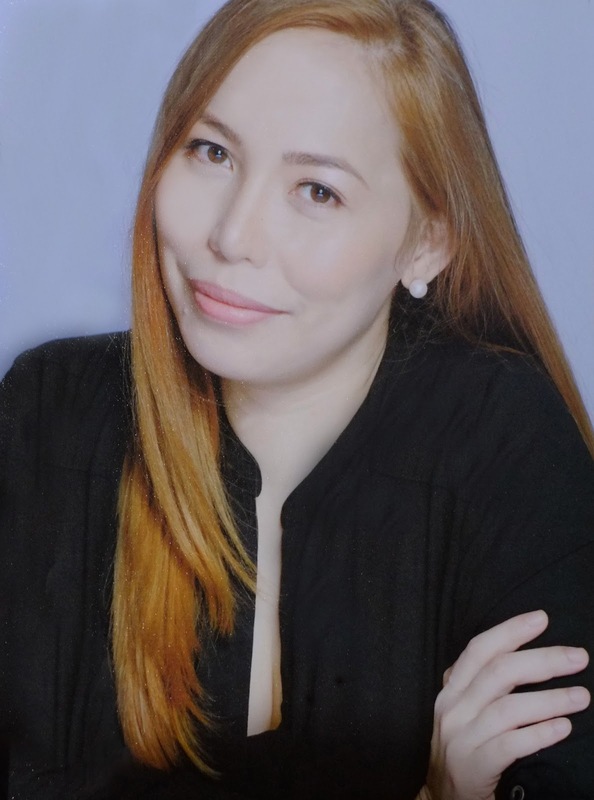 “A bigger and better event awaits the participants in celebration of this milestone in my feng shui practice in the country,” says Marites who has been advocating the application of the Chinese art of geomancy in various aspects of daily living for over a decade. For the December event, Marites says that participants can look forward to getting valuable tips on how to unlock the good potentials of the year and how to create great opportunities from them. Participants will also learn how to protect themselves from the negative energies that may hinder them from achieving their personal goals. Because travel is a key aspect for 2015, there will also be lots of suggestions on how to stay safe during travel. Other feng shui applications in daily living will be another highlight as Marites unveils the latest designs from Frigga Charmed Life, her unique brand of auspicious fashion, for the Chinese New Year. On Jan. 17, 2015, Marites will conduct Annual Feng Shui Updates in Tokyo, then in London on Jan. 22 and 25. 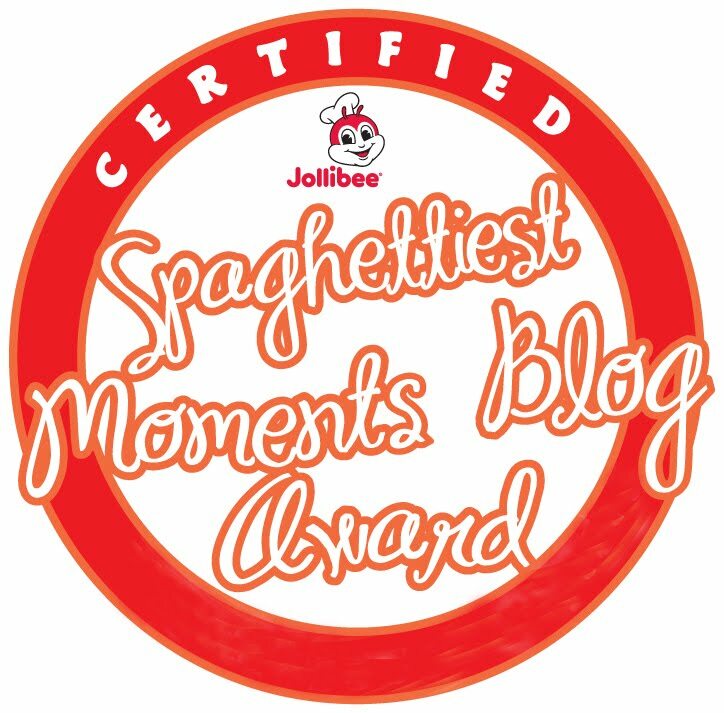 This will be followed by a series of Chinese New Year events and mall tours in the Philippines from Jan. 28 to Feb. 20. She will later meet her European followers on March 2 (Sweden), March 3 (Denmark), March 7 (Oslo, Norway), and March 8 (Kristian Sand, Norway). Similar talks are also being set in the US on March 28-29 (Guam), April 2 (Las Vegas), April 6 (San Francisco), and April 11 (New York). For further details and to reserve your seats in this event, call (0920) 950-9390, 442-0113, 576-5331, 478-6378 or email wofsphilippines@gmail.com.